South Sunset Playground has been recently renovated. 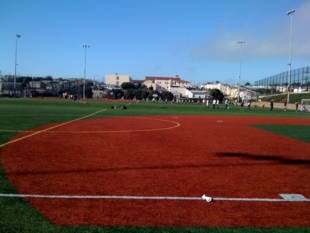 It sports a brand new artificial turf field designed to hold two baseball diamonds and three U-10 soccer fields. 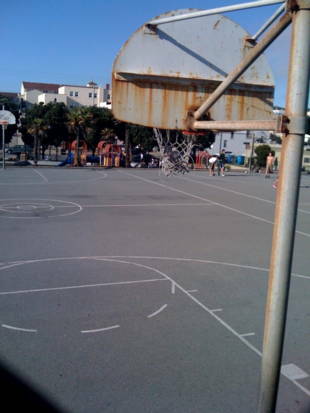 There are two basketball courts, a tennis court, and a multi-use court. The playground has very bright colors. There is a clubhouse and restrooms available. 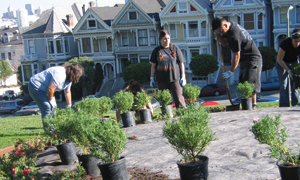 Clubhouse phone number is (415) 753-7037. 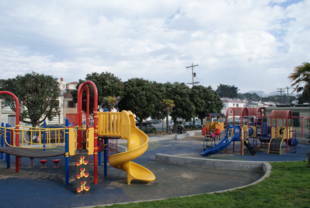 South Sunset Playground is owned by the San Francisco Recreation and Park Department. L-Taraval rail line -- 46th Ave. and Vicente St. Walk six blocks east to the playground. 18-46th Avenue -- 46th Ave. and Vicente St. Walk six blocks east to the playground. 29-Sunset -- Sunset Blvd. and Vicente St. Walk three blocks west to the playground.